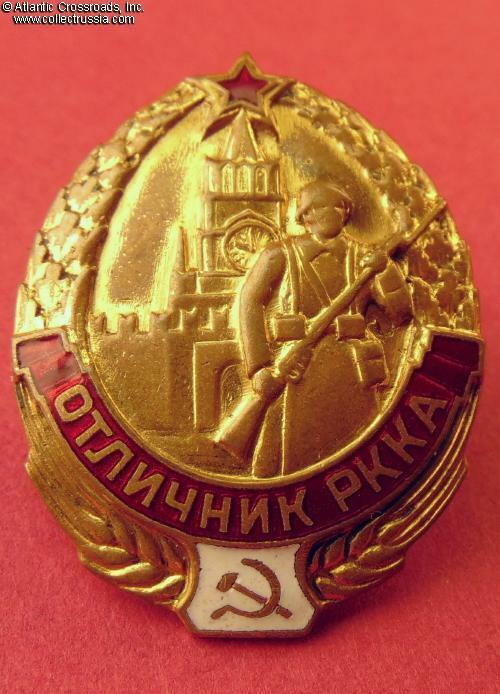 Excellent RKKA Serviceman, unnumbered, circa 1941-42. Gilded brass, enamels. Measures 37.2 mm in height, 29.3 mm in width. 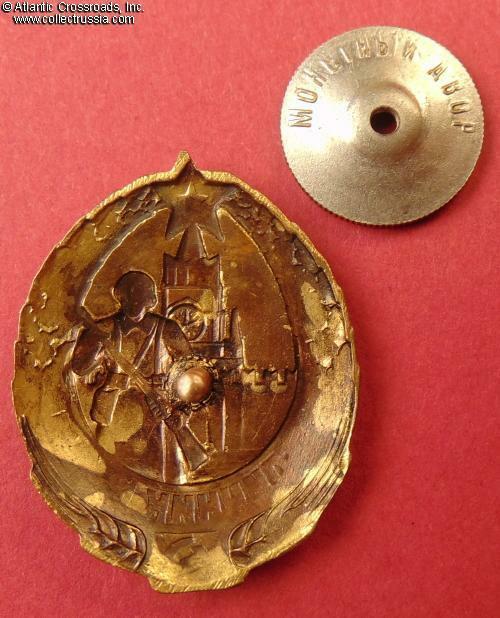 Late version by the Moscow Mint featuring reverse with pronounced counter-relief and without the serial number. 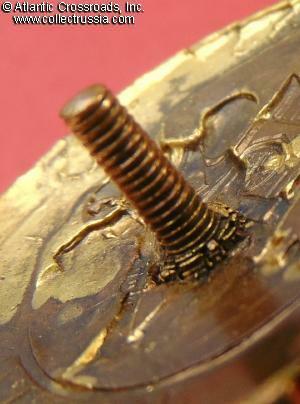 Copper screw post. 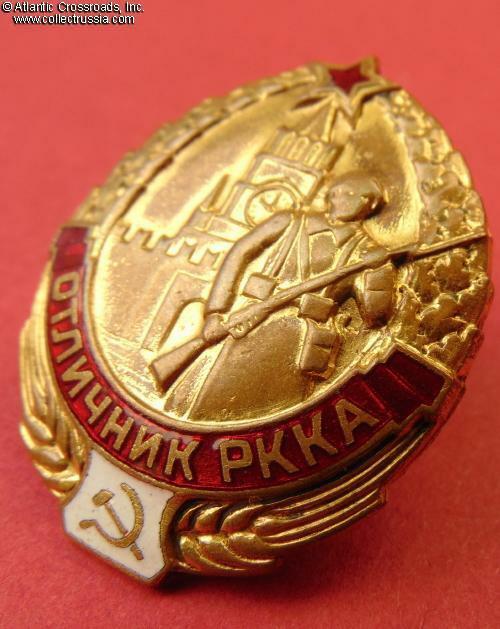 In outstanding, excellent condition - very uncommon for an early WW2 Red Army badge. 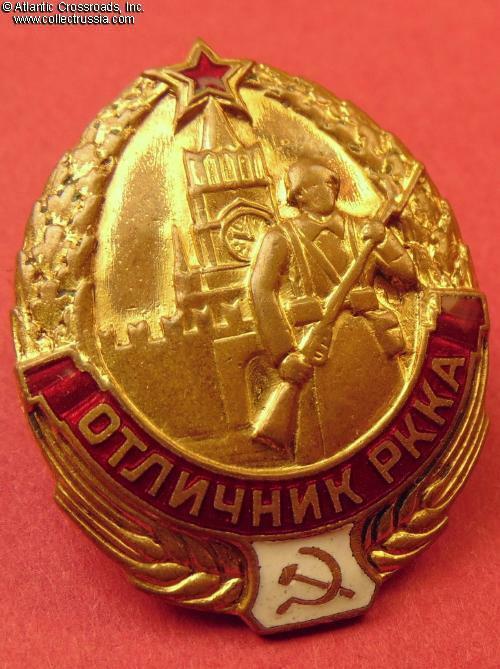 The enamel is perfect on both the red scroll and star, as well as the white plaque. 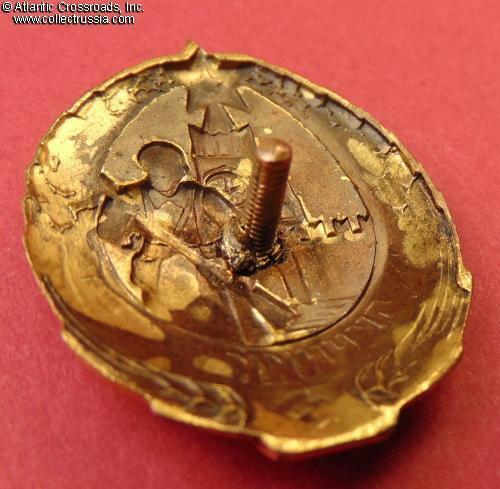 There is only very minor amount of wear the high points of the artwork, while details remain well-preserved and crisp. The brass shows attractive mild patina, free of blemishes; the original gilt finish is still present and bright in the recessed areas. The screw post is full length, over 9 mm, and includes original mint marked screw plate in nickel- plated steel. 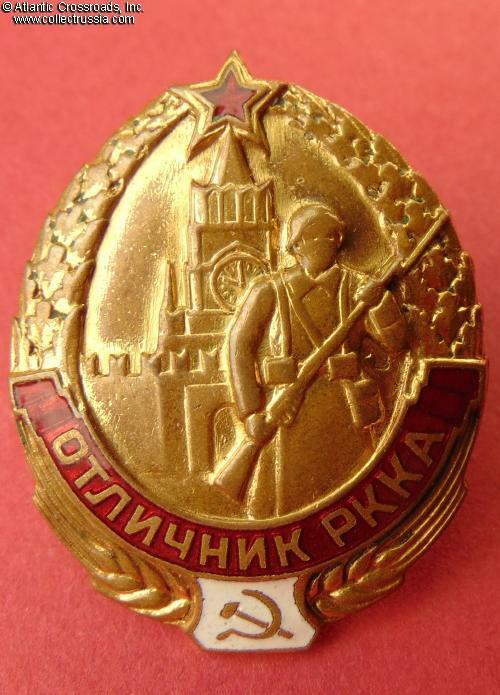 All-in-all, this is a superb example of the RKKA Excellence badge awarded prior to the introduction of the new army proficiency series in 1942.